Find the right plastic measuring scoop products at an affordable cost. Supported by a full engineering department, state of the art tooling, quality lab calibration and decades of experience, MeasureX scoops are in more industries than ever before including laboratory, pharmaceutical, health and fitness, weight lifting, pet products, veterinarian products, agriculture products, and baby formula. We know scoops! Keeping the right measurement can make a big difference in how we provide a portion of materials. Never again will you have to feel like the scoop is half full or half empty! When you have a certain measurement that must be precise on every occasion, you can depend on Measurex to provide the best in plastic measuring scoops. For as long as man has been cooking and using tools, there’s been a need to add ingredients to whatever is being prepared. We’ve needed scoops for that long. The scoop has been made from a variety of materials. No doubt the first scoops were made of wood, but modern advancements have lea tod to the creation of metal scoops and the more commonly used plastic scoop. These days, most scoops are made with polypropylene plastic which is perfectly safe for all food and food products. This material won’t leak any harmful toxins into the food or liquids. This type of plastic scoop is also recyclable which is a plus for our environment. So, there’s more to history those little plastic coffee scoops or your typical candy scoops than you initially imagined. For more than 50 years now, Measurex has been designing and manufacturing plastic scoops for every industry and for every possible need. If you can think of an ingredient, we can show you a scoop for it. Choosing the right packaging for your product can be a make or break decision. Selecting the right accessory for your product is just as critical. That’s where plastic scoops come into play. There are other places to purchase plastic scoops in bulk, but we take pride in more than just our products. We aim for the most effective customer service along with our research and development department. That’s right. Not only do we have engineers on staff to help with the design, customization, and production of our plastic scoops, but we also have a state-of-the-art manufacturing facility. Our manufacturing plant is food safety certified FSSC 22000 with strict quality assurance so you can be assured of your scoop’s purity. We promise to always keep and maintain your trust by maintaining the highest standards with all our products. You can rest assured that when you buy plastic scoops from Measurex, you’re getting the best scoops around. From the inception, it’s clear how useful scoops are to the practical use of many different products. Often, this tool is overlooked in its importance to the user’s experience of your product. That’s why we offer high-quality plastic scoops that can be customized and branded with your company name. The scoops that come in your product actually have an important role. Improper measuring can lead to a negative experience of your product, so a lot can ride upon your plastic scoops. Our goal is to provide measuring scoops that help elevate the branding of your product by matching the quality, color and other factors relevant to your business. Our products are always lab tested, manufactured in a suitable environment and ready to order right to your location! Do not let a measurement be inaccurate. Each time a measurement is off, it is chance something will likely go wrong! 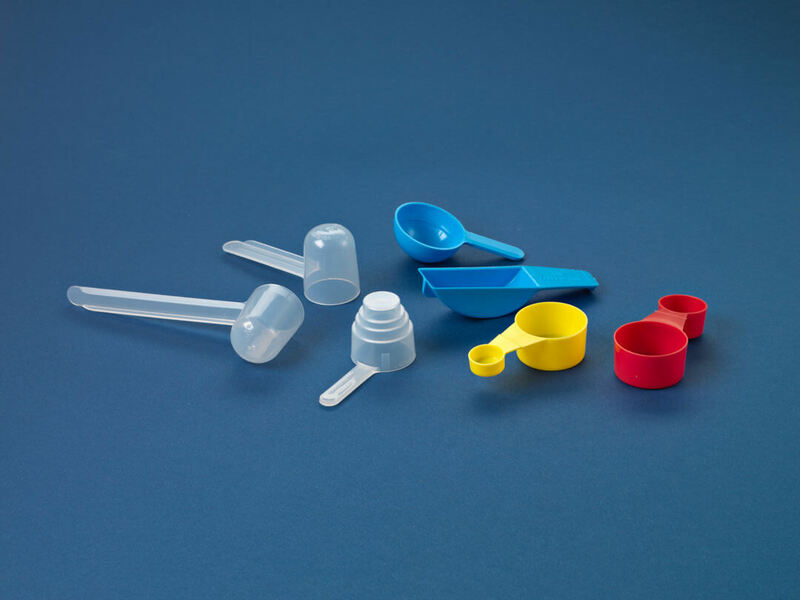 The reason why we offer high-quality lab test plastic scoops is that we are determined to get every home and business a scoop designed to meet affordable and functional needs for a variety of consumers. Whether you are looking to order just a few scoops or make a bulk purchase, our goal is to deliver the best scoops at a discount rate! Your next scoop purchase should be with Measurex because our integrity depends on getting the best in measurement precision. Each of our scoops is designed to last a lifetime, easy to handle, flexible, simple to measure with and best of all, affordable. Scoops come in all shapes and sizes. Making all the little decisions about your plastic scoop can be more than you want to handle, but it’s a necessity for the end user to have a good experience with your product. That’s why we’ve assembled a list of factors to consider when selecting your measuring scoop. As you can imagine, plastic measuring scoops come in all shapes and sizes. Of course, the size of the scoop you put with your product is directly related to the amount of your product is used at a time. 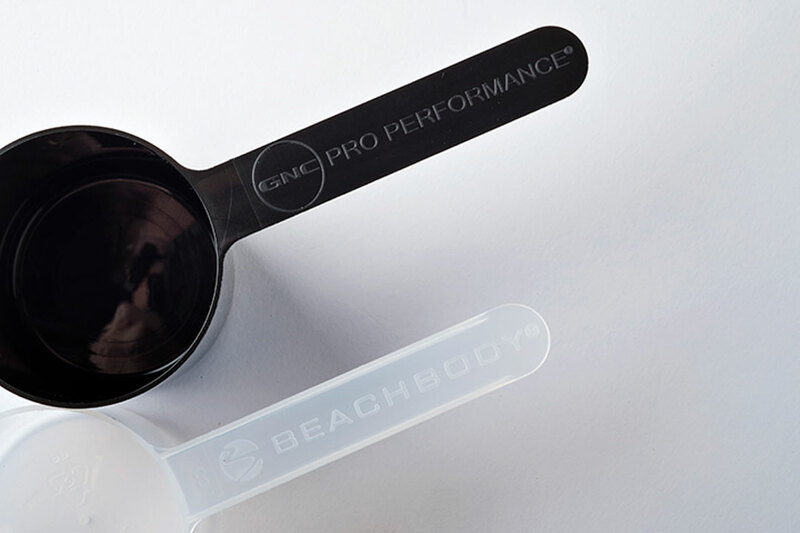 Many of our customers use either a 1 oz scoop or a 2 oz scoop, but we provide custom measuring scoops. Just call us and we’ll be happy to help you identify the right size scoop for your product and industry. Most scoops are included in products because there is a specific measurement of the product that maximizes its usage. In other words, if you are preparing a pre- or post workout protein drink, you want to make sure you get enough of the mix to make the drink enjoyable. Any more or less of the mix can negatively affect that. The size of the scoop needs to be decided since the user will typically be repeatedly measuring a fixed amount each time. We produce plastic scoops that come in everything from extra, extra small to really, really large. It may seem obvious, but most plastic scoops work well for both liquids or dry materials. Since all scoops have handles, the pouring of the product is easy enough from that end, but you’d be amazed at how many people forget to think about the shape of the actual bowl. With liquid products, it’s often useful to have a lip on the scoop so that the liquid flows naturally out of the plastic scoop. This makes it easier to pour without any splash or possible mess. Again, it’s about maximizing the end user’s experience. This may seem obvious but most plastic scoops have flat bottoms. This clearly makes it easier to set the scoop down without spilling the contents, but what if that’s never necessary? For some products, you may never need to set the scoop down, so a rounded bottom may be in order. Measurex can help. We make plastic scoops of all shapes and sizes. What if you need different amounts for different uses? Say you work on a farm, and you want to give the same nutritional supplement to one of your animals but you need differing doses. It’d be helpful if you had a scoop that had gradients already built in. That’s not a problem. We can provide plastic scoops that can dish out the right amount of whatever products you need to dish out. We realize we may be giving you more than you asked for, but when selecting a scoop for your product, there really isn’t a standardized handle length for plastic scoops. Our recommendation is to consider the size of your container when thinking about the length of your scoop handle. If your container is large enough for the average person to put their hand into, then you can afford to have a shorter handle on the scoop, but if not, you may need a longer handle. Measurex® uses its state-of-the-art tooling to design & manufacture extra small scoops that deliver critical measuring results in laboratories – providing fractional measurements that are innovating solutions for research and development. In many industries, a dash of an ingredient or fraction of materials are all that’s needed to become a revelation and game changer in the field of health care and beyond. Our small scoop designs provide this accurate measurement in such a critical industry. When preparing a powdered drink mix or a brew of specialty coffee, Measurex®’s medium scoops are designed with a measuring capability that helps to ensure your product’s taste and consistency are synonymous with the quality you require. Our large scoops are appearing more and more in powdered mixes that are used to help those who want a healthy lifestyle. Our large scoops are serving an important role, such as measuring nutritional supplements and making it convenient for the user who is usually on-the-go.Our large scoops have a 1.61” diameter bowl and come in three handle lengths. Measurex® manufactures extra large scoops for major brands of protein powders and meal replacement supplement mixes. Our unique and precise design allows these products to help people reach their full potential. We offer a wide range of bowl capacities. Our extra large scoops have a 1.83” diameter bowl and come in two handle lengths. 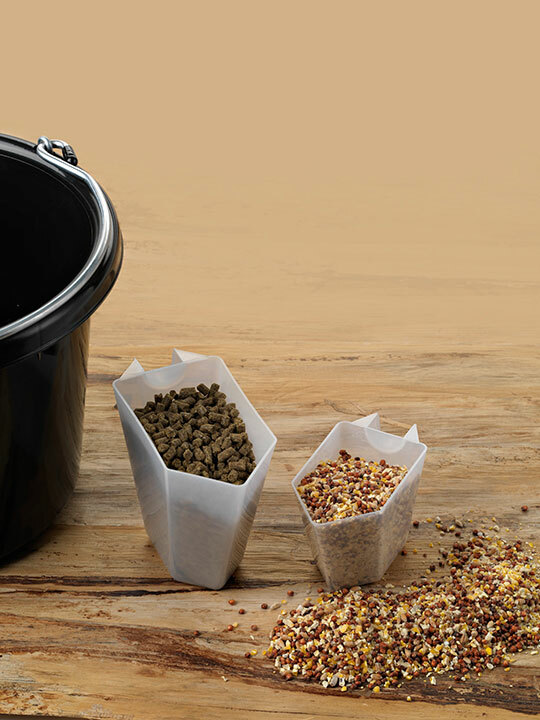 Measurex® manufactures extra, extra large scoops that are used in measuring supplements or nutritionals for pets, and for use in veterinarian and the farming industry. These scoops are being used to measure feed additives and supplements for weight gain and nutrition for animals. We also see many of these scoops used in adult meal replacement products. Believe it or not, but the little plastic scoop you put inside your product is part of your branding. It’s part of the overall user’s experience of your product. For that very reason, you need to think about the color or your plastic scoop. You also need to consider whether or not you want to put your company name and/or your logo on the scoop inside your product. It can help cement your brand awareness since there are people out there that repurpose scoops for other things. We’re always open to blazing new trails, so call us and let’s talk about how we can provide the right scoop for your products. At Measurex, we provide plastic scoops for all kinds of business in all parts of the nations as well as Pennsylvania. Some of our favorite customers are from Philadelphia, Pittsburgh, Allentown, Erie and Reading. Call us and let’s work together. Learn about how we can provide scoops to customers in Rhode Island today! Contact us today for a free quote or request free sCOOPS! Because sometimes, you just need to feel the quality. Contact us today and let us show you what the best scoops feel like.